The Cabinet Office has signed a deal with Oracle to save £75m by 2015 across central government departments, the emergency services and NHS. Oracle holds 70% of all government software licences, according to the government’s asset register. The government’s spend with Oracle is north of £200m, said Liam Maxwell, director of ICT futures at the Cabinet Office. “£75m is the known-known, the opportunity is to deliver more than that,” Maxwell said. The deal will affect all new software contracts with Oracle, but will not be used retroactively on current ones. The deal will save money by providing a single discount across government, with all departments buying software using the same discount rate. However, the Cabinet Office would not go into detail, citing commercial confidentiality. Maxwell said the government was also in talks with other high-level software suppliers. The news follows research from Computer Weekly which found that some government departments were spending three times more than others for ERP software licences. The Cabinet Office told Computer Weekly earlier this year that Oracle and SAP were the worst offenders for pricing inconsistencies. 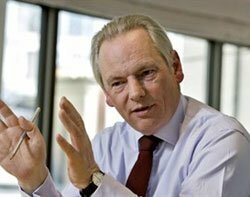 Reflecting the significance of the UK government’s spend with Oracle, both Cabinet Office minister Francis Maude and Oracle’s chief financial officer, Safra Catz, were involved in the negotiation. “The relationship with the UK government has always been very special to Oracle. We are honoured to support its initiatives and to stand together in meeting the changing IT needs of the 21st Century,” said Catz. Maude said: “The days of the government paying different prices for the same goods or services are over – we will no longer sign inflexible contracts that tie the taxpayer into unfavourable terms." John Collington, the Cabinet Office’s chief procurement officer, said negotiating with Oracle directly cut the need for the government to buy directly from third parties: "We have a complex relationship with Oracle – a lot of expenditure is not direct but through system integrators. Part of that would involve the government sitting down and looking at its pipeline, he said. The news comes as the government intends to break up contract length and size with the introduction of pay-as-you-go IT services through the CloudStore. But Maxwell said the contract period of a further three years did not contradict that intention. “The cost savings involved justifies this view,” he said. Maxwell said the government had an enormous investment in the Oracle estate, which is a different environment from one such as hosting – a service which requires a maximum contract length of 12 months. A more efficient way of managing contracts will lead to less energy being spent by all parties involved. “This will give us the ability to work more closely with government and maximise the return of exiting investments,” added David Callaghan, senior UK vice-president, at Oracle. Callaghan said the company was responding to a growing appetite to cloud services in government: “Expect to see more cloud announcements from us,” he said. A centre of excellence will be set up in Norwich to manage the Oracle relationship, which will oversee the deployment of Oracle contracts to optimise value for money. millions in savings to the tax payer. expensive external consultants is massively lower. The motto: Think about the Cost of Change, not just the Cost of Purchase!